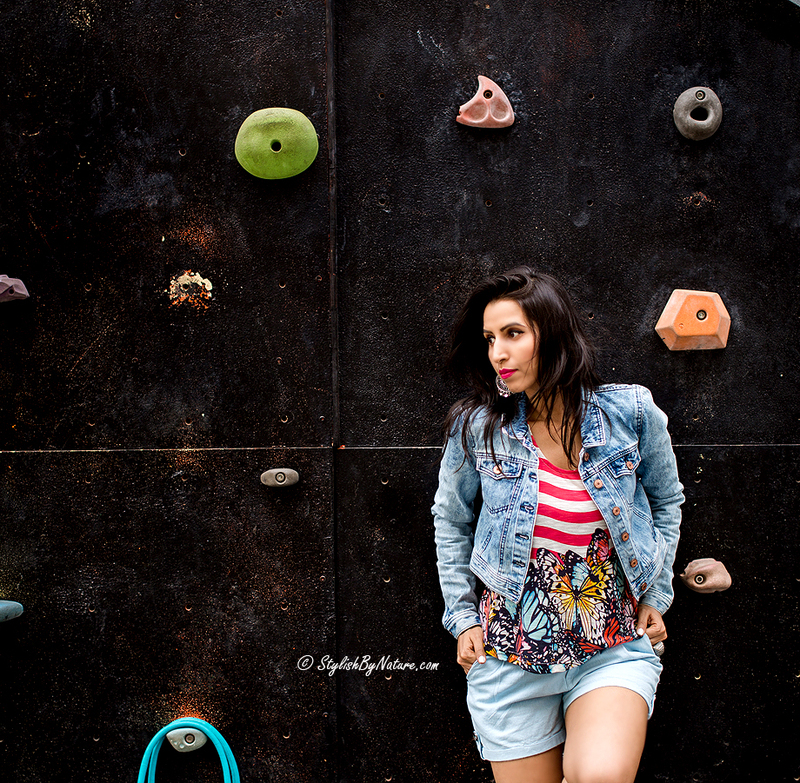 Playful prints are dominating in the fashion arena and there's no occassion to flaunt them. Anytime .... Anywhere is the Mantra !! Give your wardrobe an update with some statement prints from Max Fashion. Featuring wonderful prints, pieces in this collection are colorful, easy-to-wear and playful. You can mix and match these at your convenience and the price range is pretty affordable. When choosing your printed piece, stick to neutral, classic shades like black, white, grey and navy. This way you can add the print without standing out too much. A printed blouse is always a safe, yet effective way to incorporate prints into your look. I totally loved this butterfly print top with cris-cross back and cute buttons. 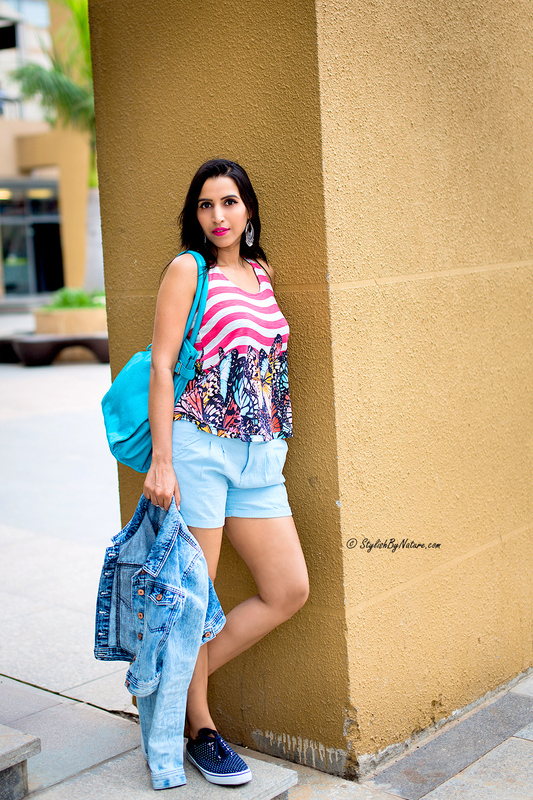 While the print is quite eye-catching, I toned down the rest of outfit with basic shorts. Fashion should always be fun !! So, what playful prints will you be rocking this summer ?